Utilizing the world’s largest drug-free healthcare system for people of all ages. Come to Crowe Chiropractic to see how spinal misalignments or subluxations are affecting your health. 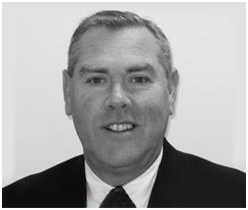 Dr. Keith H. Crowe will use detailed analyses to determine gentle and precise correction. At Crowe Chiropractic, receive specific tailored care towards your renewed health. Enjoy the healthy you that a subluxation free spine provides. Experience gentle and specific upper cervical care. Learn about Crowe Chiropractic on Southside Showcase Feature. "I had sciatic nerve pain and numb feet when I first came to see Dr, Crowe, I had suffered for months, Dr. Crowe was the first doctor that I consulted for this problem. I was treated wonderfully by the staff and I liked the personal attention that I receive at Crowe Chiropractic. I know that I have really Improved! My neck and back feel great. I really like Dr. Crowe's method of treatment. He is gentle and Informative. " "When I first saw Dr. Crowe I had neck and back stiffness„ arthritis, and pain in my left leg. I had suffered with these symptoms for about 2 weeks. I had seen my medical doctor and was treated with over the counter medication for pain. At Crowe Chiropractic, I was treated great. I liked their kindness and care that I received as well as how I feel after seeing Dr. Crowe. It seems that the overall discomfort I suffered is much better. Dr. Crowe is wonderful and seems to really know what to do for you. " "When I first came to see Dr. Crowe, I was suffering from neck, upper and lower back, and knee problems. These problems were result of a recent car accident. I have only seen Dr. Crowe for these problems. I liked most about my care the way I was treated kindly and with the most patient care. Dr. Crowe's staff always has a warm smile. I was explained everything step by step. I liked that I am getting better and improving each time. I am always looking forward for better health. Dr. Crowe is nurnber. "1" In his business, always having a great attitude, making sure you are comfortable. He makes sure you know what's going on with your health and care each visit. I would recommend him because he truly cares. It is also evident that he also has a great relationship with God. " "When I first saw Dr. Crowe, I had sciatic nerve discomfort down the right side of my back and right leg. I also had soreness in the right side of my neck and frequent headaches. I had suffered this time for about a month, but it has happened before in the past a lot. I had seen another Clhiropractor and used over the counter pain medicines. I found the staff at Crowe Chiropractic friendly and courteous. Dr. Crowe seems to take a lot of time with you and was very thorough in explaining the x-rays and my condition. I don't have any complaints about the care. I have experienced hardly any headaches and my sciatic pain has gone away most of the time. I do expect to have a full recovery of my symptoms once I have completed my treatments. I have recommended Dr. Crowe to some of my friends who are having similar problems and I will continue to recommend him to others. " "I had been suffering with migraines for 9 years before coming to Dr. Crowe. Years of pain killers had left my digestive system weak and I was suffering from irritable bowel syndrome. After approximately three months, my migraines had stopped and my bowels were back to normal. I learned to avoid any relapse by keeping my appointments. I urge anyone that suffers from headaches or migraines to come see Dr. Keith Crowe. " 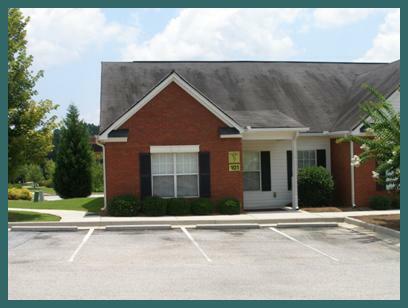 Crowe Chiropractic, located in Stockbridge, Georgia, is a Grostic based upper cervical Chiropractic practice utilizing the Atlas Orthogonal Procedure. Serving patients by providing specialized upper cervical care provided only by 5% of Chiropractors, Crowe Chiropractic assists patients not only from the Atlanta, Georgia area, but worldwide. Dr. Hugh Crowe founded Crowe Chiropractic on Main Street in College Park, Georgia, on December 20, 1952. Today, it is led by Dr. Keith Crowe, who continues to be on the leading edge of the natural healing arts. He is committed to using his skill and expertise to help people of all ages achieve and maintain optimum health. Monday, Wednesday: 9:00 a.m. - 12:00 p.m., 2:00 p.m. - 6:00 p.m.
Tuesday, Thursday: 9:00 a.m. - 12:00 p.m.Friday: 9:00 a.m. - 12:00 p.m., 2:00 - 4:00 p.m.